Are there reliable alternatives for the Tiny Whoop drone? Although last year I reviewed many Tiny Whoop clones, still didn’t have the chance to test the real one. Biggest disadvantage of the original over its copies is the high price tag. Probably Tiny Whoop fans will say that the higher price is covered by better build quality and unmatched flight performance. What does “Tiny Whoop” mean? In a nutshell, Tiny Whoop is a micro brushed drone with ducted fans and FPV camera. Thanks to its large propeller protectors, the TW is safe to fly indoor even for newbies. You can also cruise in a park without hurting anyone. Due to its perfect power/weight ratio, Tiny Whoop became quickly popular not just among first-time drone pilots but also professional FPV pilots. Note: A HAM license is required to operate FPV aircrafts (with video transmitter) in North America. Original or clone, all have same weakness: the brushed motors. Those tiny coreless motors are rated only for few operating hours. This means they usually need to be replaced after 20-40 flights. Anyway, they are very cheap and easy to replace so it is not a big deal. When I sketched up my article I wanted to introduce only 3 alternatives for the TinyWhoop but there are so many cool alternatives that couldn’t stop at this number. Recently it was announced even a brushless Whoop. Certainly the Blade Inductrix FPV is one of the best alternative for the popular TinyWhoop. It is also called “the official Whoop”. BTW, I read somewhere that both drones are build on the same frame. Thanks to the protective canopy, the Blade Inductrix has a more “finished” design as the TW. 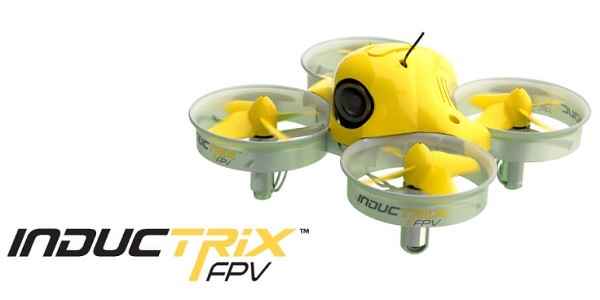 The Inductrix FPV Whoop is equipped with a fully integrated 5.8GHz FPV flight camera. According to the official specs the flight autonomy of the Blade Inductrix Whoop is about 4 minutes. 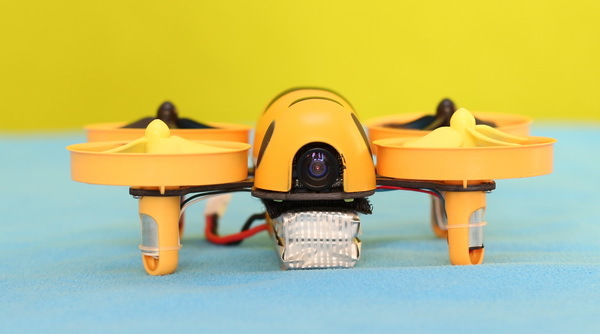 The Yellow Whoop is available in BNF package as well as in ready to fly package (with FPV monitor and 4CH transmitter). My first touch with a ducted drone was reviewing this Eachine E010. Although it didn’t have fancy flight modes (like Acro mode) I consider it a full of fun RC toy. Biggest disadvantage of this E010 is that comes without any camera. During my tests I crashed it many times and still flies like new. I think this is not so bad from a $16 drone. 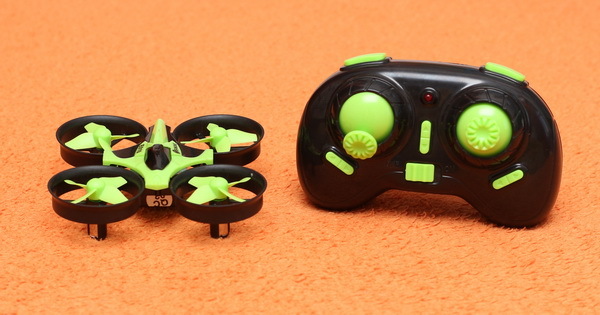 Following the success of this basic model, Eachine shortly announced the FPV version called E010C. My first impression was that the QX70 is a perfect and cheap alternative to the Tiny Whoop. Later I found out that is totally under powered and very noisy. 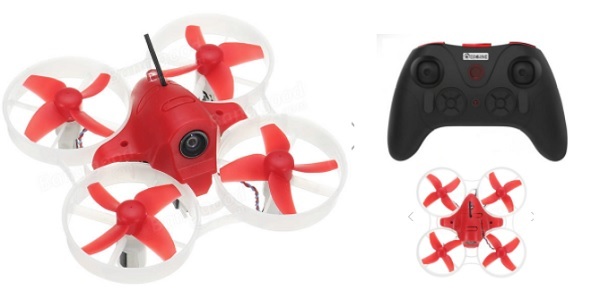 The Eachine QX70 is based on the popular F3 Evo brushed flight controller and it comes by default with CleanFlight. It also can be flashed with BetaFlight. After I replaced the stock propellers with 3-leaf ones, both flight performance and flight time were improved. Most of the TinyWhoop clones are powered by 1s (3.7V) Li-Po batteries but, in order to allow more agile flight movements, the Eachine Fatbee FB90 is powered by a 2s battery. Because the higher voltage kills even more rapidly the motors, the manufacturer includes in the package two spare motors (CW and CCW). In front of the Fatbee there is a 520TVL VTX camera with 28mW broadcast power. The nice bee design is provided by a yellow protective canopy. Unfortunately, like in case of the QX70, the 4-leaf propellers are proved to be a bad choice. Adopting brushless motors, the DYS 83 is a much powerful machine like the Tiny Whoop. Due to this fact I would not recommend to fly it indoor. Like most of the clones, the DYS 83 is also based on the F3 flight controller. 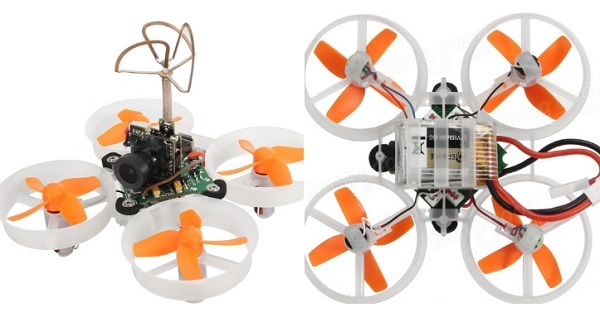 The 10000KV brushless motors are driven by a 4 in 1 BLHeli_S 10A Dshot ESC and equipped with 3-leaf propellers. The DYS83 is available in BNF package with optional RX but it is also sold in bundle with a nice compact transmitter. Those who do not trust these cheap Tiny Whoop copies can build their own. Parts are available here. You can also find upgrade parts like: carbon fiber frame, CF stiffener, 17300kv motors, camera mounts and even hard cases for the Tiny Whoop. After I submitted this article to Reddit I got several complains regarding the reason of not including the Eachine E010S in the list of the best Tiny Whoop alternatives. The answer is simple: I didn’t personally review it so I completely forgot about it. Practically the E010S is an E010 on steroids. It is build around the versatile F3-Brush flight controller. At first look, the biggest disadvantage of this mini FPV drone compared to the original Tiny Whoop is the smaller capacity battery (only 150mAh). While many professional pilot could consider altitude-hold totally useless, newbies will found it very helpful during their practice flights. In addition to the Tiny Whoop’s flight modes (Acro and Angle), Eachine E80S comes Altitude mode. In order to allow higher power than its contenders, M80S is equipped with 8520 brushed motors and 44mm sized 4-leaf propellers. According to the manufacturer’s specs, the HV 500mAh LiPo allows about 6 minutes of flight. Which is greater than munch TinyWhoop alternative’s offer. The perfect recipe for TinyWhoop is: 65mm frame, 6mm brushed motors, ducted propellers and of course a good FPV camera. If you are totally newbie in the field I would suggest you to start with the Eachine M80. It is one of the best Tiny Whoop alternative. And it has FlySky version. Add carbon fiber brace to your Whoop, will save your frame druring nusty crashes!!! Why should buy the TW for 200$ when you have so many cool alternatives for much less??? Tough question! As I didn’t personally reviewed and tested the Tiny Whoop I couldn’t give you a clear answer. But, none of the clones proved to be perfect…Based on my experience, usually less money means less performance and poorer build quality. This is a Tinywhoop co. steering site. 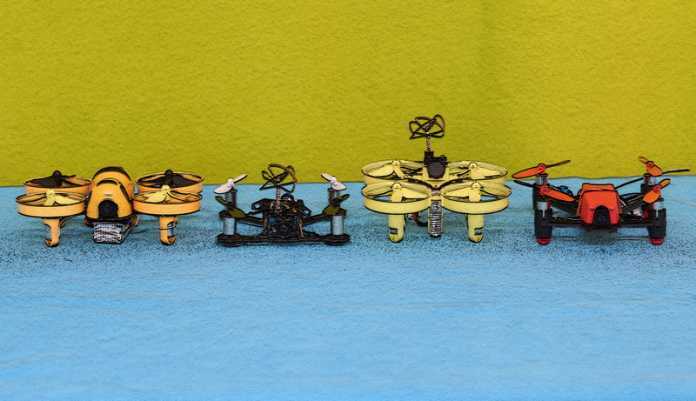 The Tinywhoop is an alternative to the Blade Inductrix for real. You are right! But who invented the computer mouse and who made it popular? We all appreciate the technology behind the Blade Inductrix but WE LOVE the Tiny Whoop!!!! You should have mentioned that the TINYWHOOP is just a hijacked Inductrix, it was stolen and modified, even more with both of the main parts from HorizonH they created the Inductrix and the micro fpv cam. Tinywhoop just slapped a the fpv cam on top and put its name on somebody else’s creation, it’s a Damm Shame……..
Now on the Forumsame Tinywhoop owner is crying aboutother companies copying the Tinywhoop that theyou has copied themselves.. So, did you say that the E010 is just a toy and did not recommend it as alternative for the TinyWhoop? I’m looking for a FPV drone for my 15 year old son…. Which are the best motors for the Little Whoop? 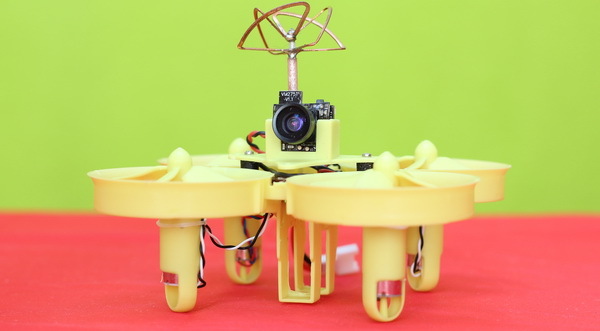 This micro FPV quad is the most fun you will ever have. Get several spare batteries and enjoy it! The Mylipo 205mah 25C 1S battery are the best batteries for the TinyWhoop! OK, it is not 4 minutes but close to 3:30 min with a good battery. It fly’s Grate and the FPV part is excellent! you dont need a HAM license in the US if your flying 5.8ghz. 900 and 1.3 require a HAM license. TinyWhoop comes with Inductrix flight controller, which is far better than the F3 open source.